Why hasn't the US government crushed Wikileaks? Why hasn’t the US government crushed Wikileaks? So, Wikileaks has done it again. The largest military data leak in history has revealed grisly truths about the Iraq war that the US and Iraqi governments would surely prefer had never been widely known. It was clear that some serious evidence against the US was coming when almost a week ago The Pentagon urged news organisations not to publish the data. As news organisations around the world that had been analysing the war records for weeks released their reports a few hours ago, the US government condemned Wikileaks, saying they “Threatened national security”. That all seems a little “soft” though, doesn’t it? The US, with all its political and military might, can’t stop a leak that it will have known was coming for days or weeks. 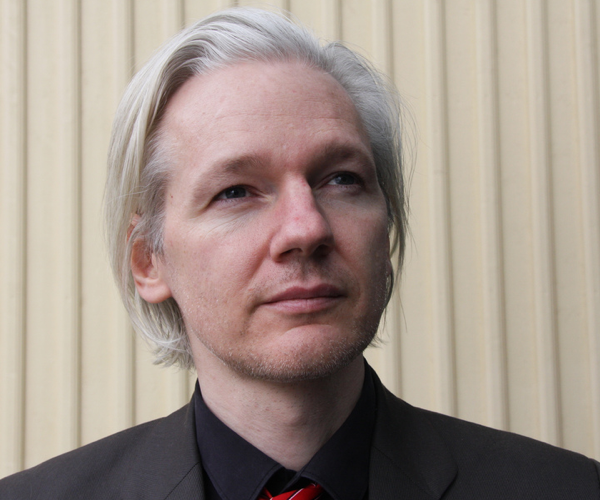 In years gone by, wouldn’t Wikileaks founder Julian Assange (pictured) have simply been arrested and silenced, or failing that, “disappeared” in a mysterious incident engineered by the CIA or a similar, secretive organisation? To put it bluntly, as one of the greatest disruptors of recent times, why is Julian Assange still alive and a free man? Wikileaks organises itself online. Not a great deal is known about how Wikileaks works but it’s clear that much communication is done between members online. Only a few members have direct contact with Assange. This can lead to problems. When Daniel Schmitt, Wikileaks’ former PR representative, recently quit he told Der Spiegel that “WikiLeaks has a structural problem… We’ve grown at a crazy pace these past months and we have an incredible need to become more professional and transparent in all areas”. Still, the benefit of this type of organisation is you get access to “people power” via a volunteer network around the world, while making it extremely difficult for unwanted people to infiltrate the network of descision makers. You can’t “return” “stolen” digital leaks. Speaking about the Iraq leak, the Pentagon argued that “The only responsible course of action for Wikileaks at this point is to return the stolen material and expunge it from their websites as soon as possible.” Paper documents can be returned, but we’re dealing with digital information here – leaking just isn’t what it used to be and as soon as Wikileaks shared the data with news organisations, the idea of it ever being “returned” or “expunged” became ridiculous. Strict security makes interception of Assange’s online activities difficult. Wikileaks’ own website discusses “Military-grade encryption”, while communication between members takes place using encrypted IM channels. It’s likely that Assange’s personal online security is at least as strong. Wikileaks has “Insurance” on hard drives around the world. In July, Wikileaks published a password-protected file called simply “Insurance” for the public to download from its website. It’s understood that if Wikileaks was ever under threat, it could simply release the password for the file, unlocking whatever information it contains. Maybe the US government is simply too wary of what is in that file to risk coming down too heavily on Assange, or maybe they do know its contents and don’t want to risk it ever becoming public. Wikileaks’ enemies fighting fire with fire? Whether you agree with its tactics or not, it’s truly stunning that one loosely affiliated organisation and its high-profile leader can make governments quake in their boots. It may end up being that governments and other bodies upset with Wikileaks’ activities will turn to the Internet themselves to counter the “threat”. Wikileaks’ communication channels were hacked this week, supposedly for the first time by “Very skilled” attackers. It may be that the only way for Wikileaks’ opponents to take it down will be via the same technology that lets it exist in the first place.